Here's your chance to add a scarce 2017 Commemorative $5 One Troy Ounce Silver Maple Leaf to your collection. This Reverse Proof shows the designs mirror-like and the backgrounds frosted. It celebrates the 150th anniversary of the founding of Canada in 1867 and features a special commemorative logo beneath the Maple Leaf on the reverse. 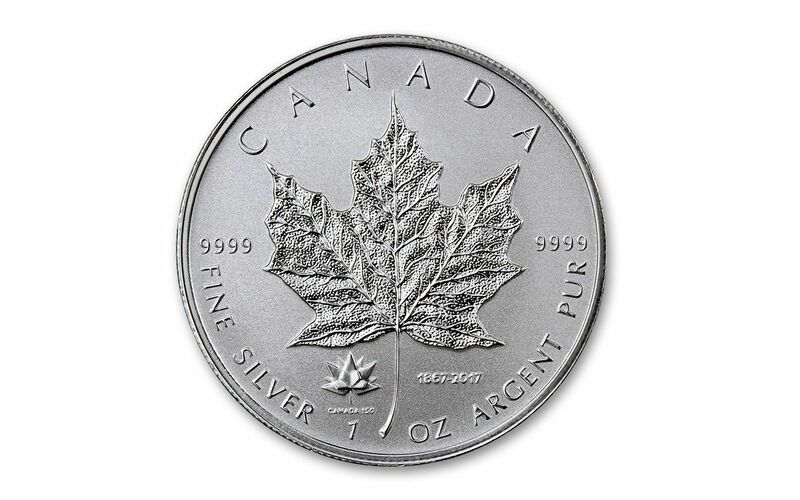 First struck in 1988, the Silver Maple Leaf was instantly popular with silver collectors around the world. It's hefty one Troy ounce high-grade silver content has become highly coveted by collectors ever since. As a special commemorative limited edition Reverse Proof, this 2017 150th anniversary coin is a great addition to your collection. 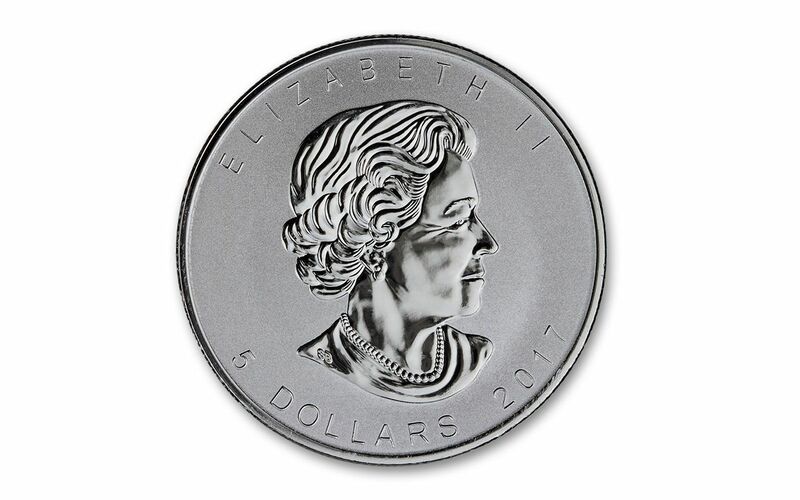 Its collectability is enhanced by the special Reverse Proof finish imparted to the coin by the artisans at the Royal Canadian Mint. 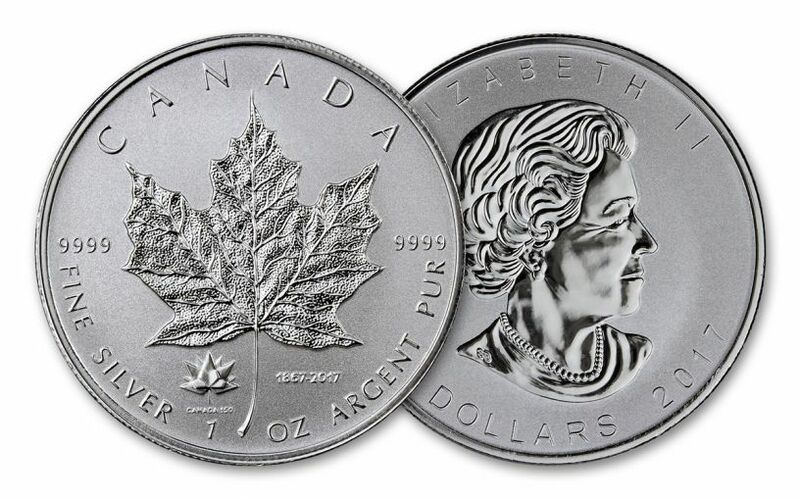 Collectors around the world have been scooping up these popular $5 Silver Maple Leafs for thirty years. They're struck in some of the purest silver used to strike coins anywhere in the world and have their silver content and purity struck right into the surface of the coin. This commemorative Reverse Proof example is sure to be coveted. As a limited edition Reverse Proof this example could prove to be difficult to locate in the future. By securing yours today, you can avoid future disappointment and the uncertainty of future supplies and prices. Order yours now!